This is an unexpected review for me, mainly because it’s for a product I would never normally buy. 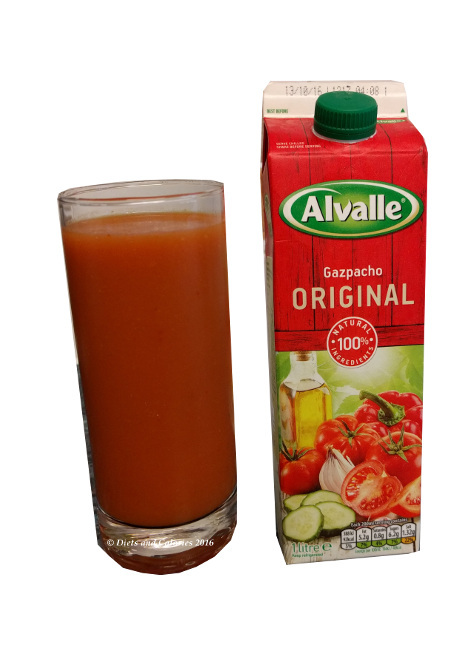 The product - a free carton of Alvalle’s Gazpacho which arrived with my grocery shopping. The idea of gazpacho doesn’t appeal to me. It’s basically cold tomato soup and I don’t even like tomato juice, which is a shame because it’s healthy and low in calories. But still, here it was, waiting to be unpacked and needing to be refrigerated. I may as well give it a try. It comes in a 1 litre carton and says on the front it contains 100% natural ingredients. Great start. “Intense, refreshing, and delicious. We keep all the secrets from the orchard in our Gazpacho Original recipe. At Alvalle, we select the finest ingredients for you to enjoy the authentic and fresh taste of vegetables at home. After opening the lid and giving the contents a quick sniff, I can immediately detect the tomato. Onions also spring to mind. The smell alone reminds me of tomato salsa. 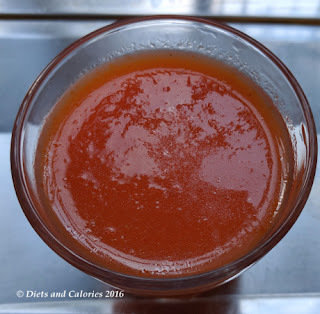 Pouring it out into a small glass reveals a thick, and relatively smooth puree. Taking my first sip I’m completely amazed. It’s so tasty. Slightly spicy, tomatoey of course, but so much more. I had to top up my glass and drink more. Well you could almost eat it as it’s very thick. The day I tried this happened to be particularly hot, so it was incredibly thirst quenching. But it also makes a fantastically low calorie snack. The recommended portion size is 200ml which is quite a tall glass. This contains 92 calories. Add some more chopped peppers, tomatoes and cucumber and turn it into a satisfying lunch. It’s an all-round healthy drink with just a slightly raised salt content. But it only just makes it into the yellow traffic light zone. It’s low in sugar, low fat, low saturated fat and gluten free. It’s also suitable for vegetarians. Once opened it has to be used within 5 days. Without opening it has a shelf life of around 6 weeks, but it must be stored in the fridge. Available from Ocado, Waitrose and Sainsbury’s for around £4.30. Nutrition Information per 100ml: 46 Calories, 2.6g fat, 0.4g saturated fat, 3.9g carbs, 3.1g sugars, 1.2g fibre, 0.9g protein, 0.66g salt.